A look that inspires double-takes, intelligent technologies that elevate your driving experience and superb performance that slices you through the wind. 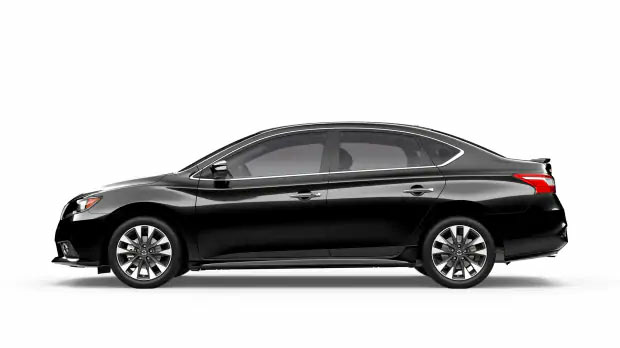 These are just a few aspects you can enjoy as a driver of the all-new 2019 Nissan Sentra. If you’re ready to end your search for a sporty sedan that will more than satisfy your lifestyle needs with cunning charm and style to boot, the Sentra is the Nissan you need to check out. Here at Awesome Nissan of Brunswick, we stock the 2019 Sentra as well as every other car in Nissan’s new vehicle lineup. Below, we’ve provided you with some delicious Sentra details you can sink your brain into. After checking these out, feel free to swing by our Brunswick Nissan dealership from Dock Junction, GA. Our experienced and friendly teams are here to treat you to the easy and hassle-free car-shopping experience you deserve! With purposeful, flowing curves dressing the outside and a 1.8L engine working energetically on the inside with Xtronic CVT® technology, 2019 Sentra drivers can enjoy a ride supported by fantastic aerodynamics and efficiency you’ll notice at the fuel pump. 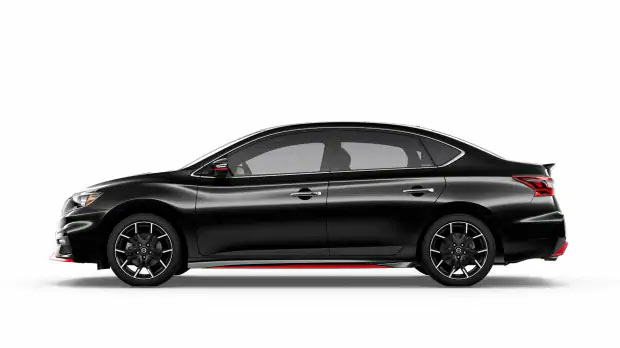 This stunning Nissan sedan also allows drivers to further save at the push of a button with Eco Mode or quench their need for speed with the Sport Mode available in sportier trims. Whether you’re peacefully cruising backroads or flying through the air, though, one thing is for sure in the 2019 Sentra - you in for a ride with truly impressive handling. And that’s all thanks to powerful suspension that includes front and rear spring tuning as well as damper tuning. The 2019 Sentra boasts a myriad of exciting technologies like a 7-inch touch screen display where you can easily access information in crisp graphics, Bluetooth® integration, USB connectivity and even smartphone compatibility via Apple Carplay® and Android Auto™. Further enhancing the interior experience of the Sentra is aspects of comfort and convenience, delivered through available amenities and features, such as Dual Zone Automatic Temperature Control, front seats and side mirrors that heat up, Nissan Intelligent Key® with Push Button Ignition and a Bose® Premium Audio System that makes for an immersive, quality musical experience. It’s one thing to read about all the ways in which the 2019 Nissan Sentra provides its drivers with power, refinement and innovation. It’s entirely another to actually experience these things for yourself. So, feel free to schedule your test drive right here on our easy-to-use website before heading over to our Nissan dealership from Dock Junction, GA. We also encourage you to stick around here on our site where you can further explore our extensive inventory of new Nissan cars for sale as well as learn about financing opportunities that are available to you!